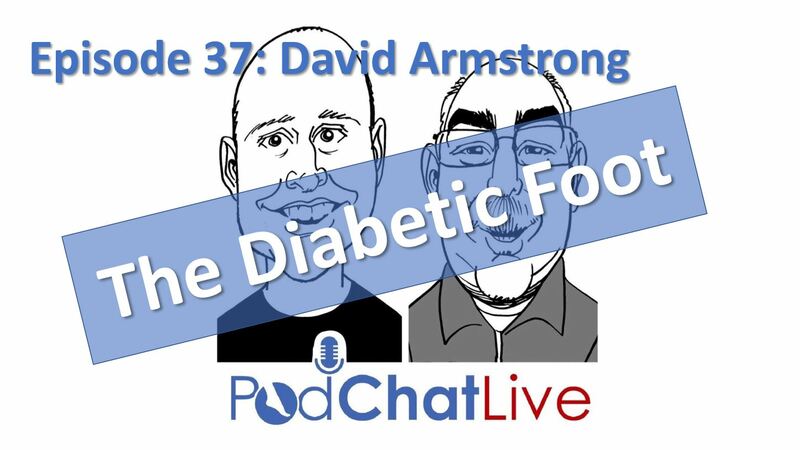 In this episode we welcomed Dr David Armstrong, DPM, PhD and we talked about how the worlds diabetic population is third only to China and India, and that during the length of this episode alone 198 amputations would have occured worldwide, and 565 people would have died from complications associated with Diabetes. We talk about what we as Podiatrists can try to do about this, how we communicate with and educate our patients, David’s approach to neuropathic assessment, and how Diabetic foot ulcers are not unlike training load injuries. David Armstrong DPM, PhD is Professor of Surgery at the University of Southern California. David holds a Masters of Science in Tissue Repair and Wound Healing from the University of Wales College of Medicine and a PhD from the University of Manchester College of Medicine, where he was appointed Visiting Professor of Medicine. He is founder and co-Director of the Southwestern Academic Limb Salvage Alliance (SALSA). Daivd has produced more than 500 peer-reviewed research papers in dozens of scholarly medical journals as well as over 80 book chapters. He is also co-Editor of the American Diabetes Association’s (ADA) Clinical Care of the Diabetic Foot, now in its third edition.